Salad. It’s one of those foods where it all depends where you are in the world to understand the meaning of the term. Let me explain. Fifteen years ago, on my first outing with my then boyfriend, now husband, parents, they took me to a fancy steakhouse in Tel Aviv. The first outing with the rents is always awkward, but being a vegetarian (yes, they knew) at a steakhouse with a limited menu, made it even more. Add to that my broken Hebrew with a waitress whose English was below par, and you have yourself one memorable evening. So when I went to order the Caesar Salad, my husband stopped me in mid-sentence and said to me in these exact words, “Wait, wait, you know that a caesar salad isn’t really a salad right, its just lettuce and sauce”. I looked at him, greatly for his attempt to clarify, but with a look that said “Thanks love, but I know what I’m doing”. And at that moment I realized that a salad in Israel was far from the salads I was used to in the States. To me a salad is mostly lettuce, some toppings, dressing, maybe some croutons- but the most important ingredient is the lettuce, and a lot of it. In Israel a salad is mostly made up of vegetables. The traditional “Israeli salad”, is made up of chopped onions, tomatoes, cucumbers, and red peppers and seasoned with olive oil and lemon juice. A spicy cooked tomato dip, known as Matbucha is also known as a salad. Being the kind that loves a good full salad- think Cheesecake Factory or CPK style, I genuinely miss a good lettuce-based salad. You can get them here and there but in general they are hard to find. 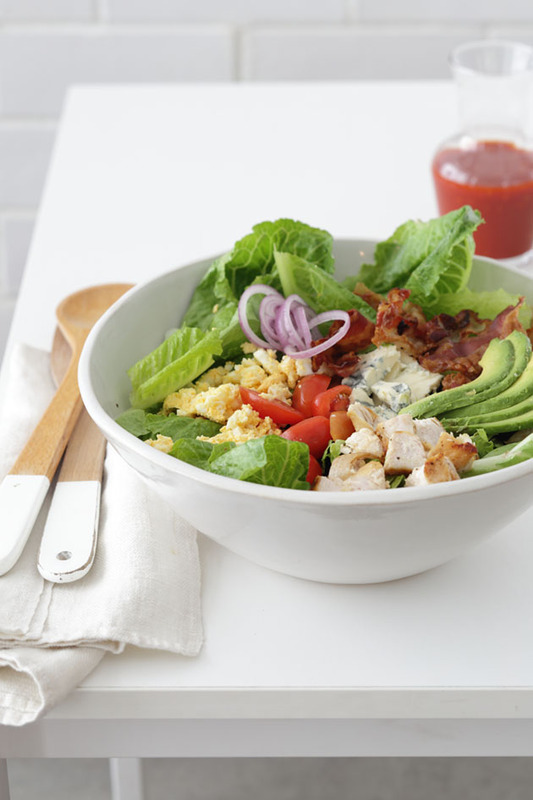 So when I came across an amazing salad dressing I decided to give it a try on one of my favorite all-time classic salads- the Cobb Salad. This recipe is a very traditional recipe. This is the kind-of recipe that you just don’t change. It is also a complete meal in a bowl making it a great option for both lunch and dinner. 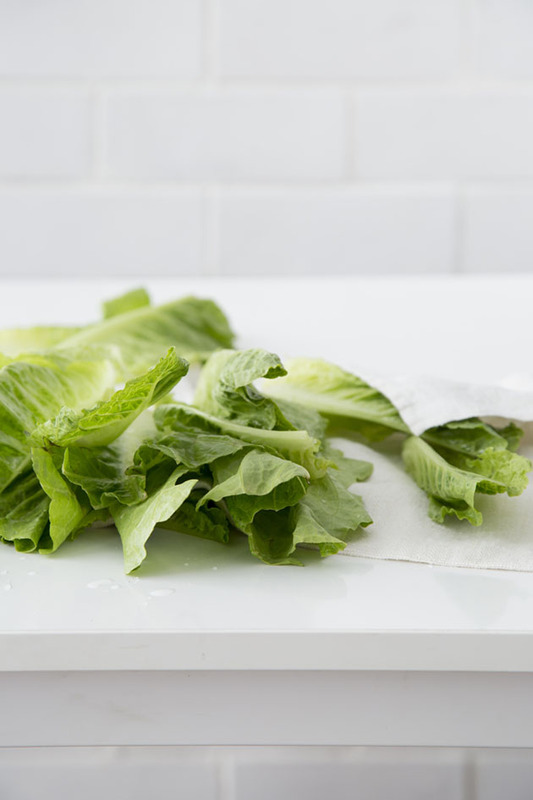 You can use any dressing you like for this salad, but this dressing, given to me (and adapted slightly) by a relative who makes awesome lettuce salads, is really delicious and works wonderfully with the Cobb. 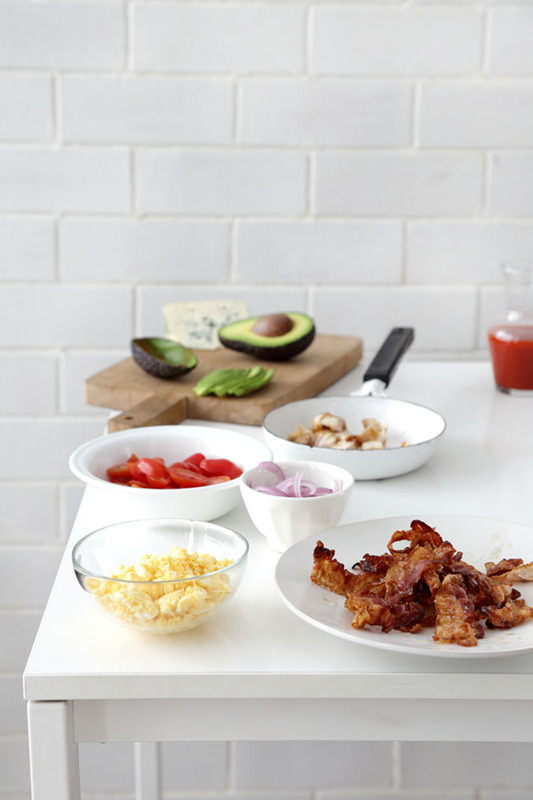 Make the dressing: Combine all ingredients and puree until the mixture is smooth. Season with salt and pepper to taste. Set the dressing aside, or refrigerate in a sealed container for up to one week.